I remember sitting at the kitchen table when I was 10, hearing my parents talk about a friend in the Peace Corps. I started to dream about service as its own adventure. In addition to volunteering as I was growing up, I studied agriculture development and food security for my master’s degree in sustainable development at Cal Poly in San Luis Obispo, California. During grad school, in 2013, I interned for the Alliance to End Hunger in Washington, D.C. While completing my internship I worked with former U.N. Ambassador Tony Hall, a returned Peace Corps Volunteer who told me that the Peace Corps would be an unforgettable experience for someone keen on working in food security, and urged me to apply. In January 2015 I applied to serve and have been a Peace Corps Volunteer in Ghana since October of 2015. 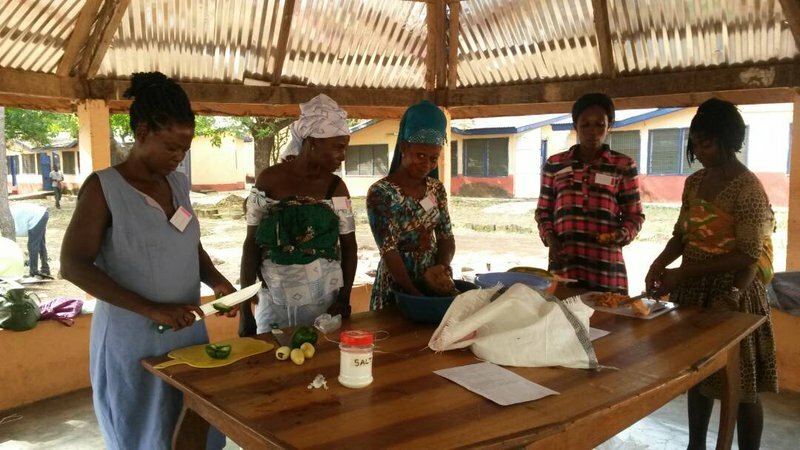 Women prepare a fortified "koko," or porridge, made with orange-flesh sweet potatoes and vegetables during a nutrition training. During my first year living and working in an isolated rural community in northern Ghana, I experienced the “hunger months," a time of year where the rains stop and food isn’t as readily available; families live on food stored from the previous harvest. It was challenging to witness my neighbor Adams’ food supply dwindle and the yam storage on his farm be destroyed by fire, cows and thieves. I, on the other hand, was able to travel two hours to a market where I could buy tomatoes and other vegetables not available in our community. Every two weeks I would bring food and other items back for Adams’ wife, Ashia, to prepare for their children, but I knew my actions weren’t sustainable. The three of us decided to try a dry season garden during the hunger months. We had land, fencing materials, clay pots for irrigation and plenty of groundnut shells to mulch the beds. 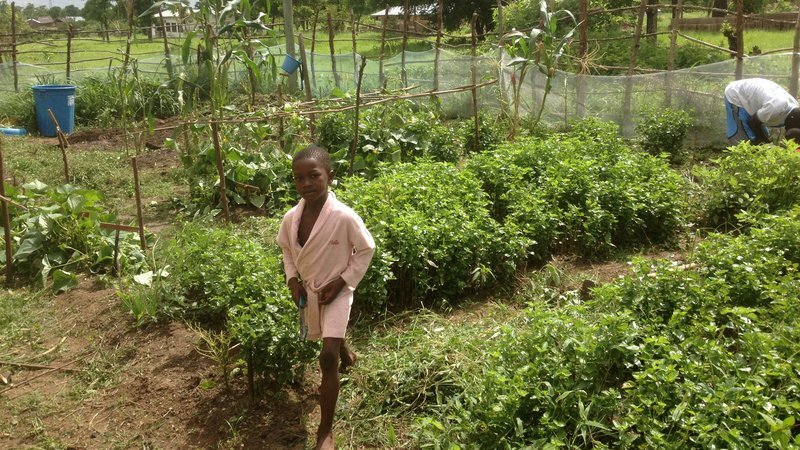 We built a garden that was eventually able to feed their family and two other families living close by. Ashia brought women to the garden and showed them how to plant and use the different vegetables we grew to prepare meals. Adams talked to men at the local mosque about the importance of building gardens to make food more easily available. We couldn’t end the hunger but we could at least lessen it. The dry season garden flourishes. After working on this and other projects during my two years of service, in 2017 I extended my time in Ghana to work with a USAID-funded organization called Resiliency in Northern Ghana, or RING. Our organization partners with local government officials to help advise and provide technical support on methods to implement food security and economic empowerment projects in communities, specifically targeting women. Projects include poultry rearing, leafy green vegetables in small irrigated gardens, beekeeping and orange-flesh sweet potato cultivation. After working in a grassroots capacity during my first two years as a Peace Corps Volunteer, I’m enjoying a new set of challenges while working with an non-governmental organization and government officials. Needless to say, I have learned a lot “by doing,” the Cal Poly way! Bryan with his neighbors Ashia, Adams and their children. 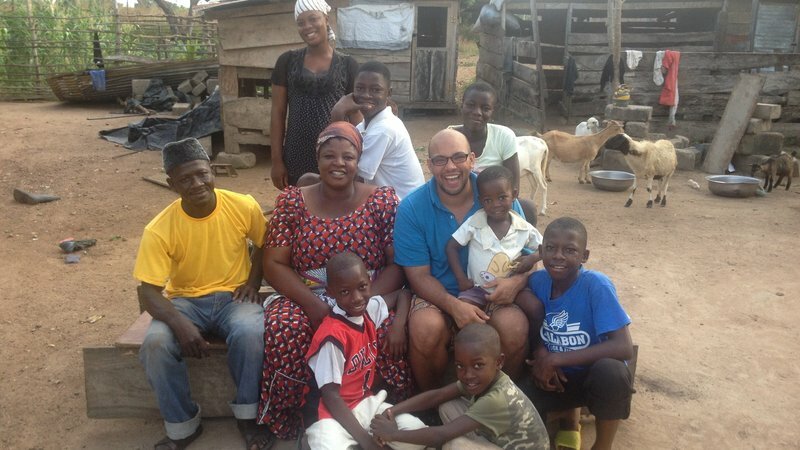 Bryan Pride is an agriculture Volunteer in Ghana.